Amsterdam, Netherlands – More convenience, more safety, and more possibilities: thanks to Bosch connectivity solutions, trucks, homes, and wearables are growing even smarter and more efficient, earning Bosch two CES 2018 Innovation Awards at CES Unveiled in Amsterdam on October 26, 2017. Every year, the prestigious award recognizes the best solutions ahead of the world’s largest electronics show and is an indicator of the trends of the future. The Common Telematics Platform is the foundation for new digital services for commercial vehicles that allow trucking companies to do a better job of planning their transports, making more efficient use of their fleets, and getting goods to their destinations more safely. A tight schedule, high mileage, and constantly increasing traffic: every day, truck drivers and their vehicles have their work cut out for them. To help them master their task, drivers and trucking companies can count on support from Bosch. 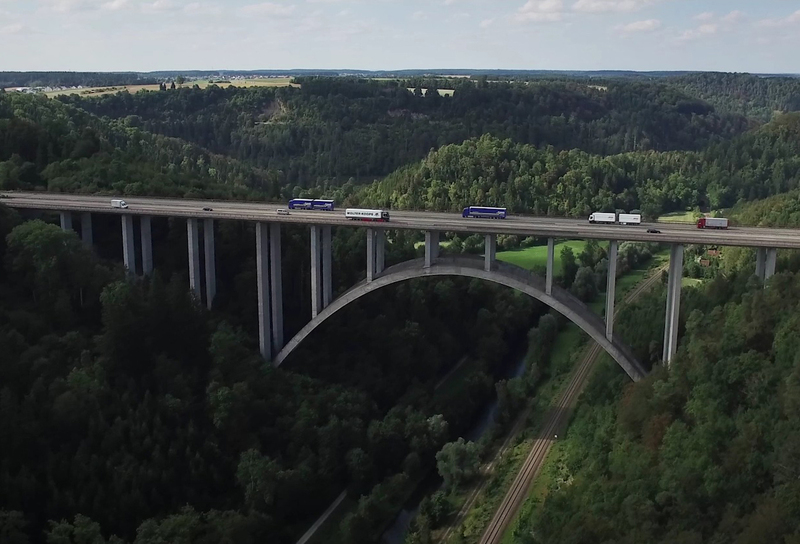 “The Common Telematics Platform is the foundation for new digital services for commercial vehicles that allow trucking companies to do a better job of planning their transports, making more efficient use of their fleets, and getting goods to their destinations more safely,” says Dr. Dirk Hoheisel, member of the Robert Bosch GmbH board of management. 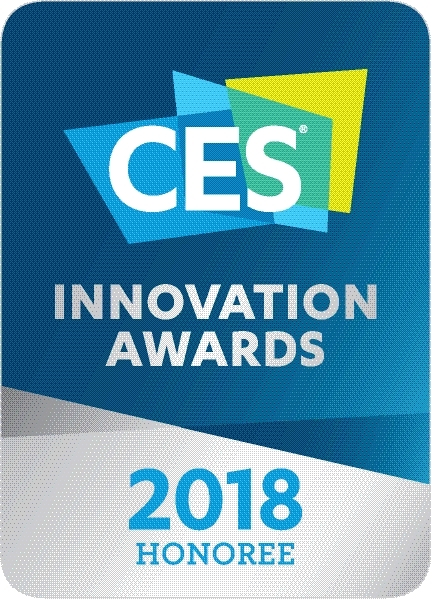 In recognition of its telematics solution for the cutting-edge connectivity of heavy commercial vehicles, Bosch received a CES 2018 Innovation Award in the category Tech For A Better World. 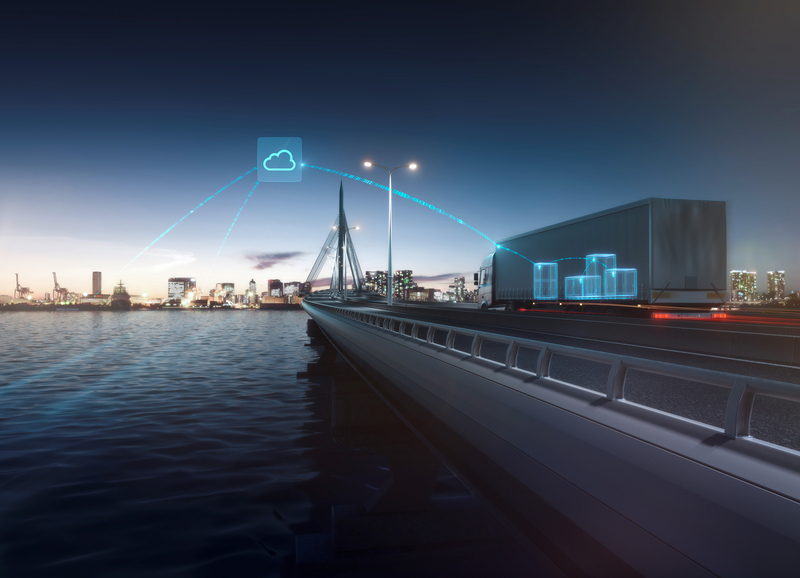 The Common Telematics Platform was developed in association with Daimler Trucks and Fleetboard, and is used worldwide in the manufacturer’s heavy commercial vehicles as its Truck Data Center, where it acts as the foundation for new digital services such as Mercedes-Benz Uptime. The platform checks the technical status of trucks in real time and sends the information, allowing fleet managers to detect breakdowns before they happen, avoid unplanned repairs, and further optimize scheduled repair shop visits. This increases the reliability of transports and reduces costly truck downtime. In the future, Bosch’s Common Telematics Platform can enable over-the-air software updates. The wireless updates will keep vehicle systems up to date while saving drivers and fleet managers time by reducing the number of repair shop visits. They will also make it possible to install new and improved functions directly in trucks. Extremely energy efficient, small, and powerful: these qualities have won the BMA400 acceleration sensor from Bosch Sensortec a CES 2018 Innovation Award in the category Embedded Technologies. The tiny sensor combines ultra-low power consumption with high performance, thereby significantly extending the service life of batteries in devices. As a result, batteries need less frequent charging and replacement. 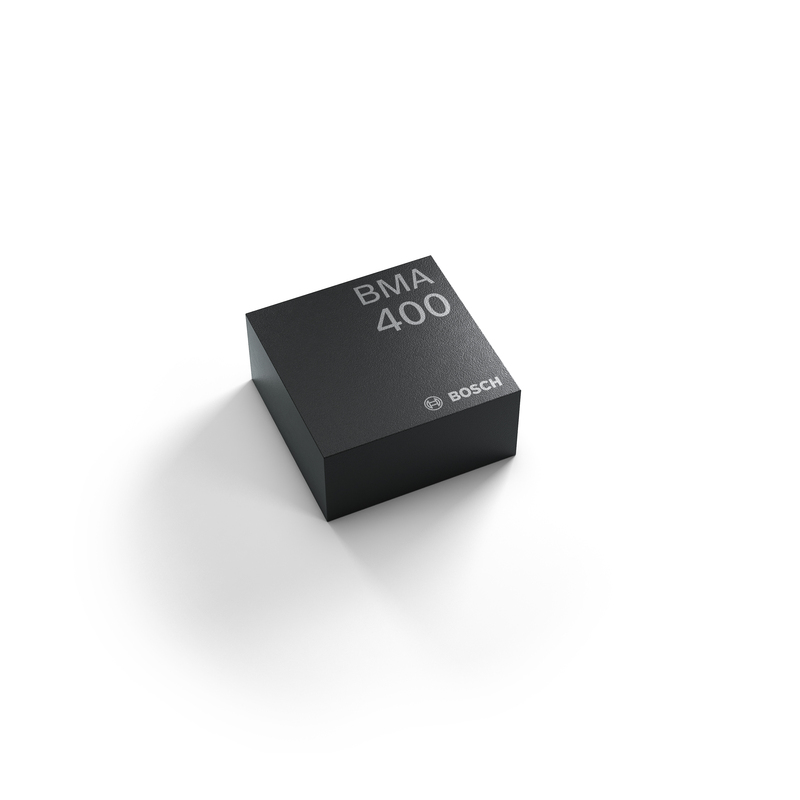 The sensor also enables highly precise angle and vibration measurement, making the BMA400 particularly interesting for applications in the Internet of Things (IoT). In smart homes, the energy-saving acceleration sensor can recognize whether windows are open, tilted, or closed, for example, making it possible to set air conditioning or heating systems accordingly and save energy. 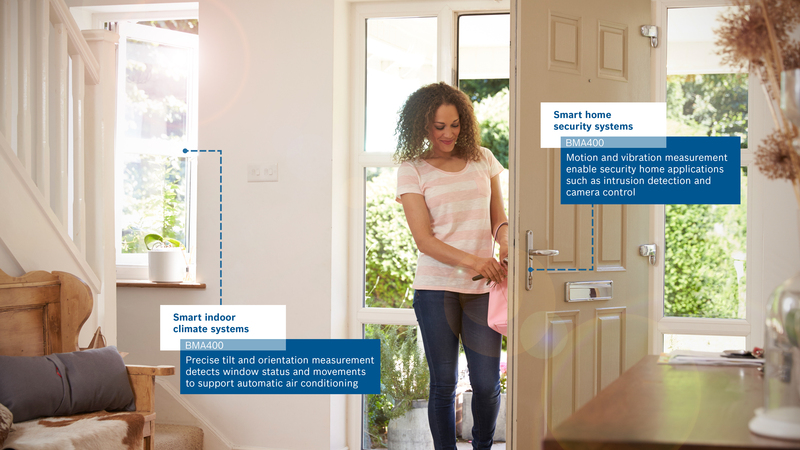 When installed in doors and windows, the BMA400 detects motion and vibrations, helping deter burglaries. Thanks to smart energy management, the tiny sensor is also ideally suited for use in wearable devices. The CES Innovation Awards are a program run by the Consumer Technology Association (CTA). Each year, the awards are presented in 28 categories. Bosch has already won awards in the past. In 2017, for example, Bosch was honored for a connected water heater and two innovative motorcycle solutions. In 2016, the technology company received recognition for neoSense, a touchscreen with haptic feedback. The demand for safety, security, energy efficiency, and convenience in cities is growing. These are just a few of the challenges that are resulting from growing urbanization. The key to overcoming them is intelligently connected cities – known as smart cities. In many places, such cities are already a reality: Bosch has a multitude of solutions that are helping to make cities smarter and improve quality of life for their residents. At CES 2018, Bosch is showcasing an expanded portfolio of “Simply.Connected.” solutions for everything from urban mobility and the connected working world to intelligent homes and buildings. PRESS CONFERENCE: Monday, Jan. 8, 2018, 8:00–8:45 a.m. (local time) with at Mandalay Bay Hotel, Las Vegas Convention Center, Mandalay Bay Ballrooms BCD. PANELS WITH BOSCH EXPERTS: More information to come – stay tuned!